Corvin Club in Budapest has announced a 24-hour party featuring French favourites, Lowris and Varhat, headline alongside Dutchman, Roger Gerressen. 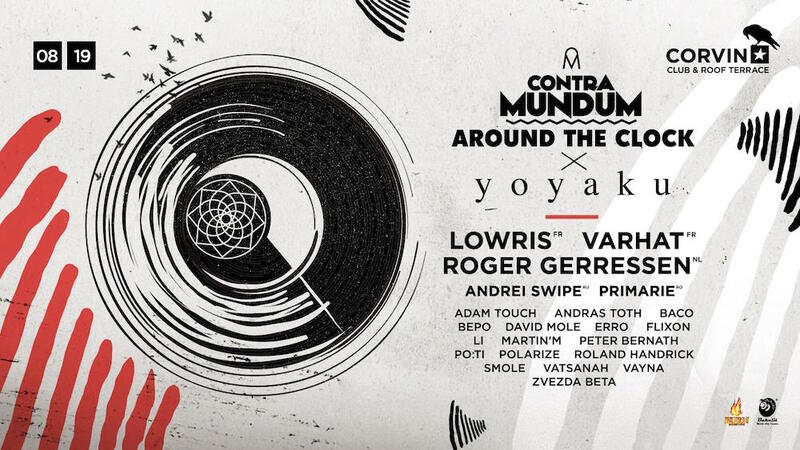 Hosted by local party-starters, Contra Mundum, and Parisian agency, vinyl store and mastering studio, Yoyaku, the marathon event will feature 22 artists in total, including Andrei Swipe, Primărie, Adam Touch, Andras Toth, Po:ti, Polarize, and Vayna, playing across four stages. Running from 4pm on Saturday 19th until 4pm on Sunday 20th August, the party is the latest of Corvin Club's all-day-all-night runs, which have — along with its open rooftop — earned the venue legendary status in Hungary and across Europe. You can grab tickets to the event here and let your friends know over on the Facebook event page.